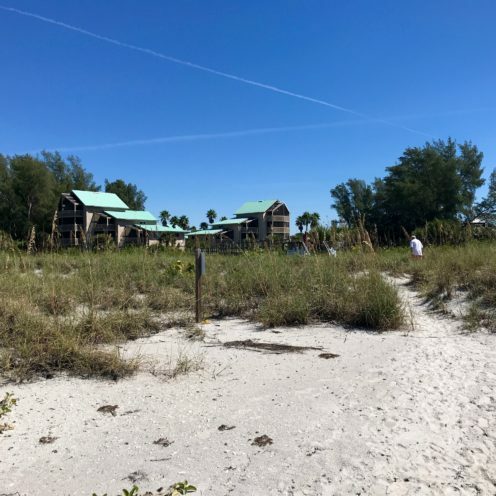 In southwest Florida, just north of Gasparilla Island and the tony town of Boca Grande, lies a small tropical barrier island known as Little Gasparilla Island. This is where my new daughter-in-law’s family has owned property for 3 generations. 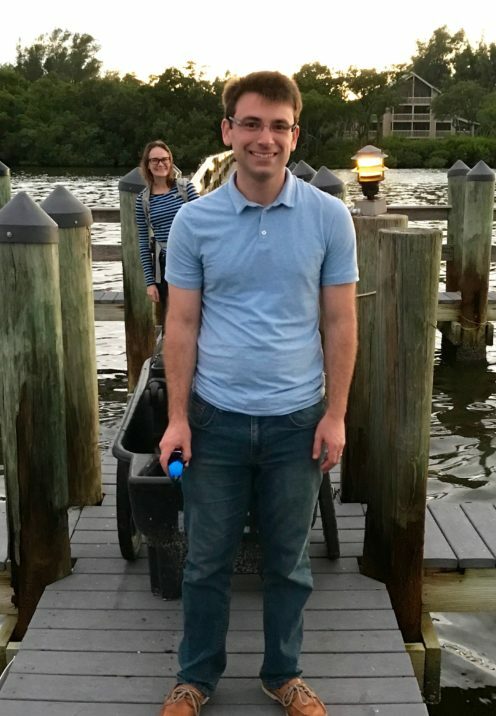 As a way of saying thank you for planning and hosting their recent wedding, my son and his new bride surprised us with an all-expense-paid trip to the little island sanctuary. It’s where Ann’s large, extended family has been escaping to for decades. 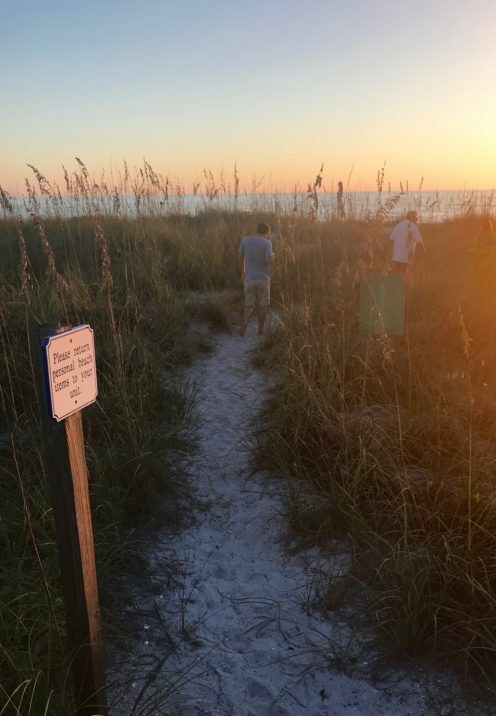 Ann spent every summer and school holiday of her childhood romping on Gasparilla’s sandy shores, collecting seashells and sharks teeth, and making memories to last a lifetime. Turns out her Grandparents were one of the first to build a large waterfront home on the island when it was originally being developed. 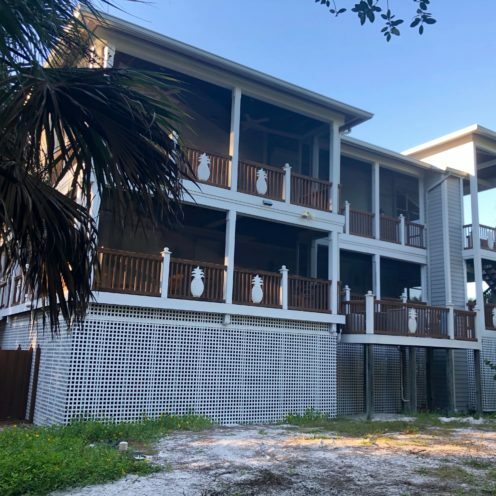 Upon their passing the 5 siblings sold the original family home, but kept one of 2 other properties on the island so memories could continue to be made by generations to come. Wow, what a wonderful family legacy that I hope one day my future grandchildren will get to enjoy too. 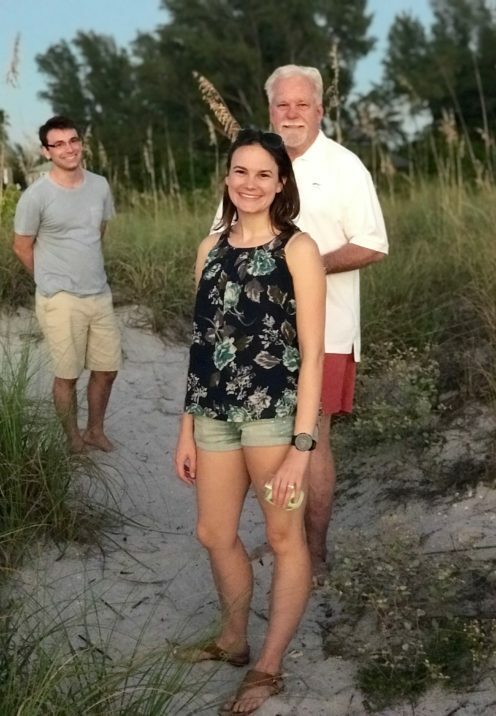 So when the kids sent us airline tickets and told us we’d be escaping the winter cold for Little Gasperillla Island along with them, we were all in. 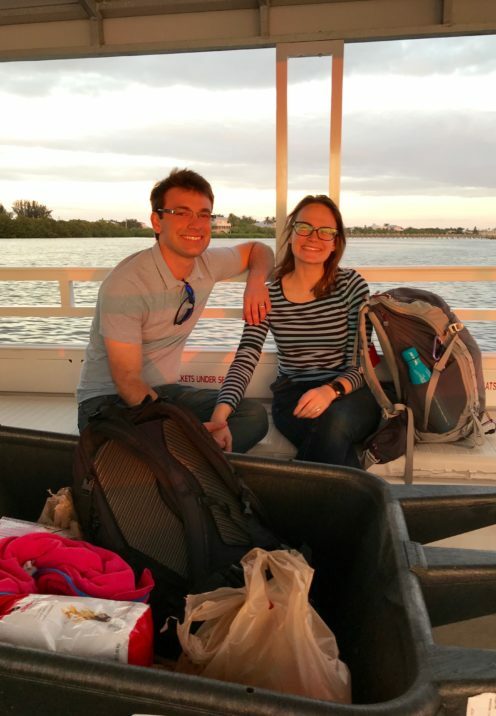 We flew into Tampa and met up with Taylor and Ann, who had flown in from frigid Chicago and rented a car. 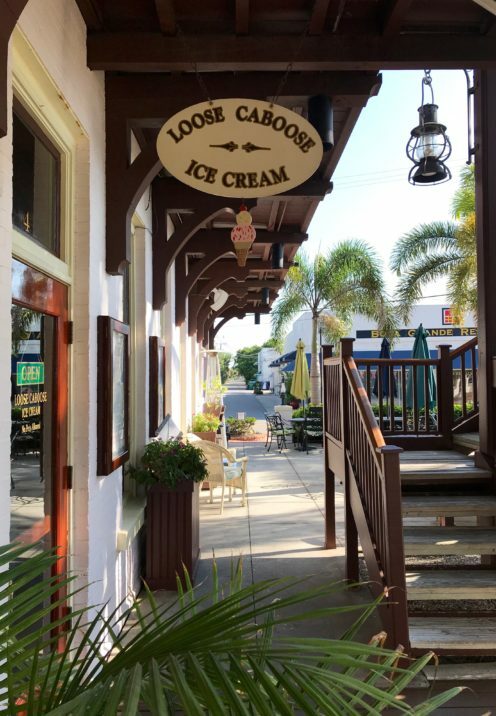 We then made the 90 minute drive down to the town of Placida, the gateway harbor to Little Gasparilla Island. What’s very unique about Little Gasparila Island is the fact that it lacks a bridge, which fell victim to a hurricane long ago, and the locals like it like that. So, the only way one accesses the island is by private boat or water taxi. 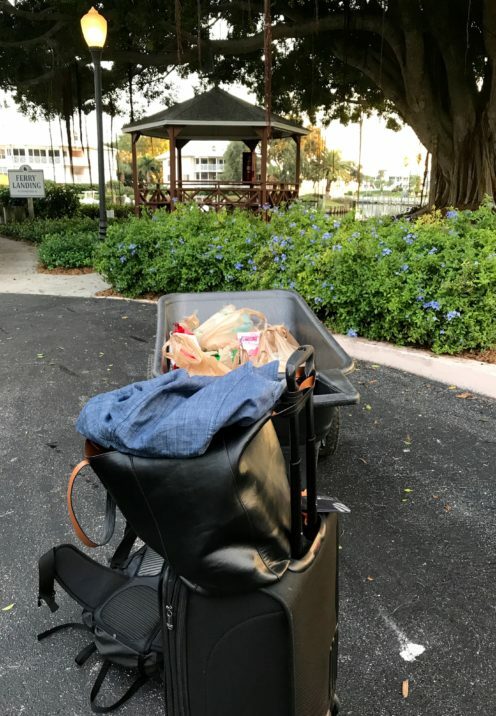 There are no hotels or restaurants on Little Gasparilla Island, so you must bring all your groceries and provisions with you. The kids had planned all the meals for the duration of our stay, and had prepared a shopping list, so our next stop was the local grocery store. 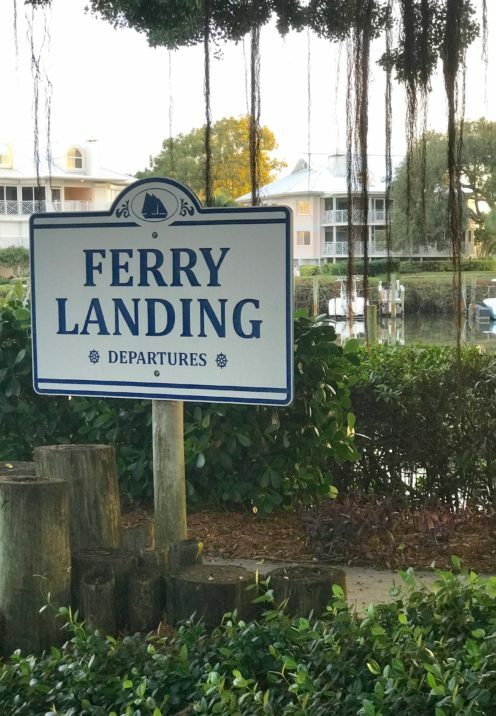 We then made our way to the ferry landing where the homeowners association provides an hourly ferry to the island, as well as handy carts for all your gear. 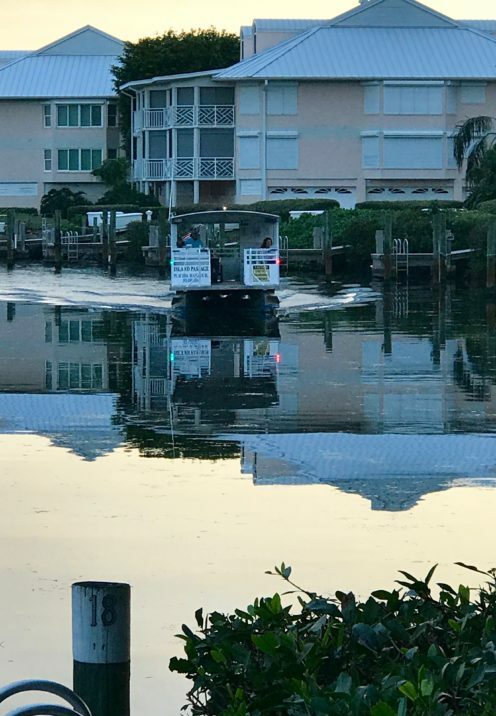 We watched big, slow moving, gentle manatees swim around in the bay as we awaited the arrival of the last ferry of the day. Dusk was creeping in as the ferry whisked us across the channel, in what was a 15 minute ride over to the small private island. Offloading our several carts full of gear, we sauntered ashore down the long boardwalk pier. 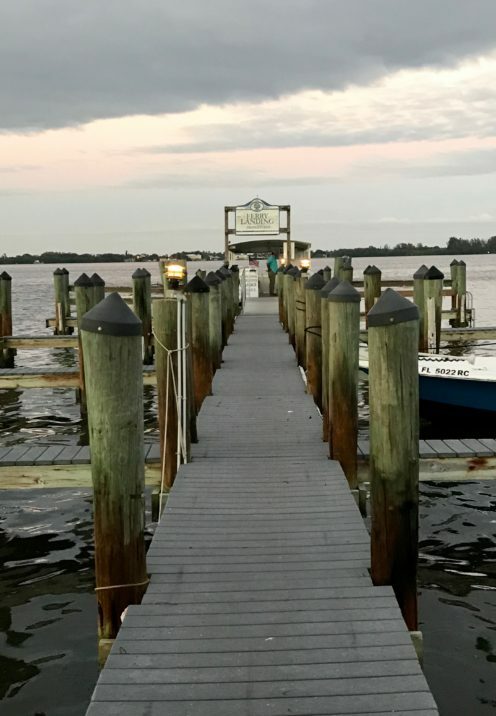 Ann and her family often fish from this pier, where there is an abundance of Redfish & Snapper waiting to be caught and enjoyed for dinner. 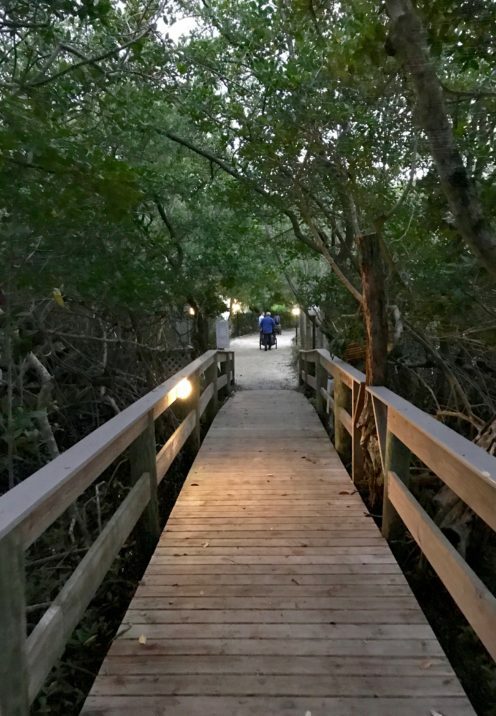 We continued on through a dimly illuminated forest of mangroves just as night was falling. 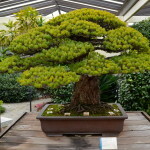 For me, a first-time visitor, it was really rather magical and quite exciting. Here people get around on foot or by golf cart. So we followed a sandy pathway that led us to the family residence. Quickly settling in, we then enjoyed cocktails and a dinner prepared 100% by the kids, who insisted on pampering us. The next morning we were up-and-at-um early to take full advantage of the best shelling opportunities. Ann, an avid shell collector, explained that the best time to go shelling was first thing in the morning, before the rest of the shell seekers beat us to the best pickings. 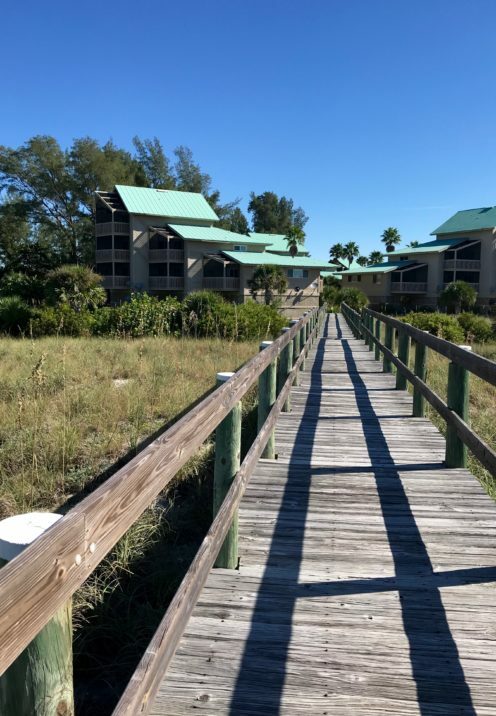 So off we went, via another boardwalk off the back of the residence, thru protected grasslands to the beautiful beach beyond. The grasslands are the nesting spots for endangered sea turtles, which lay their eggs in the warm sand dunes. We spotted a few turtles as we walked by, but they were camouflaged by the tall grass when I tried to take their picture. 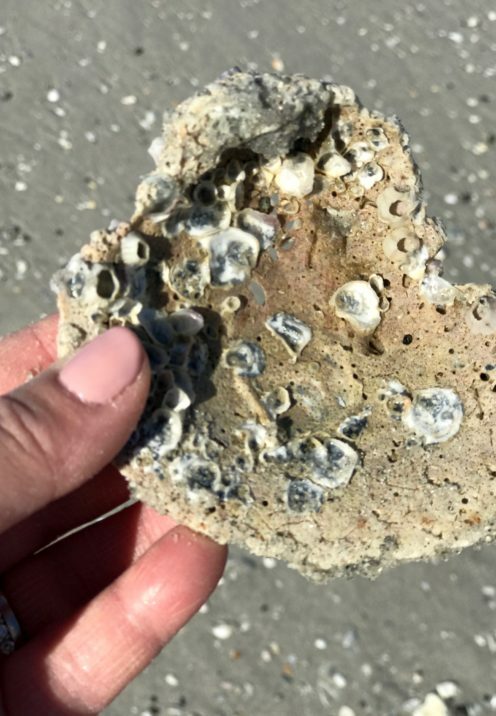 The island offers 7 miles of beautiful, pristine, unspoiled beaches, and the shells on the island are among the most plentiful on the west coast of Florida. 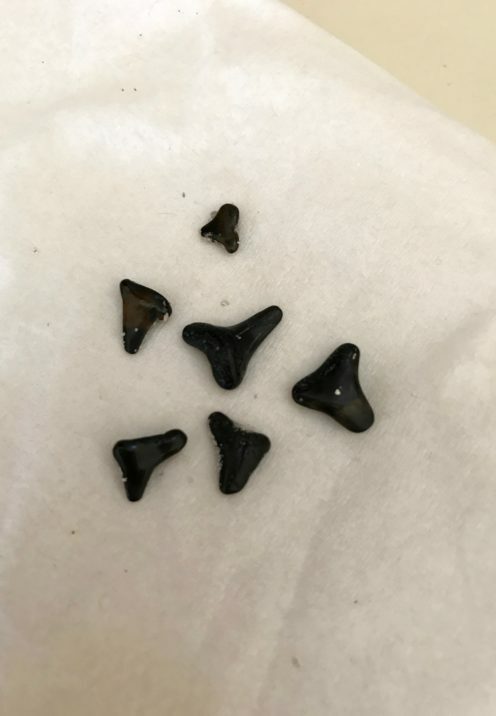 Every morning we walked for miles, collecting shells and prehistoric sharks teeth that wash ashore and are free for the taking. 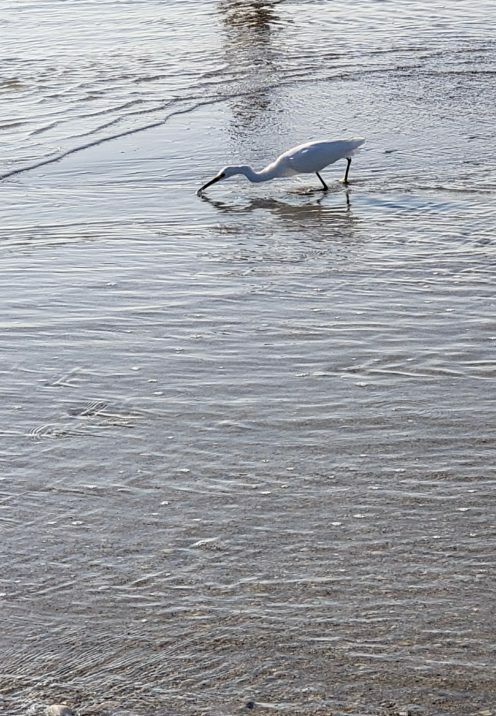 We were amazed by the abundance of birdlife on the island as well. 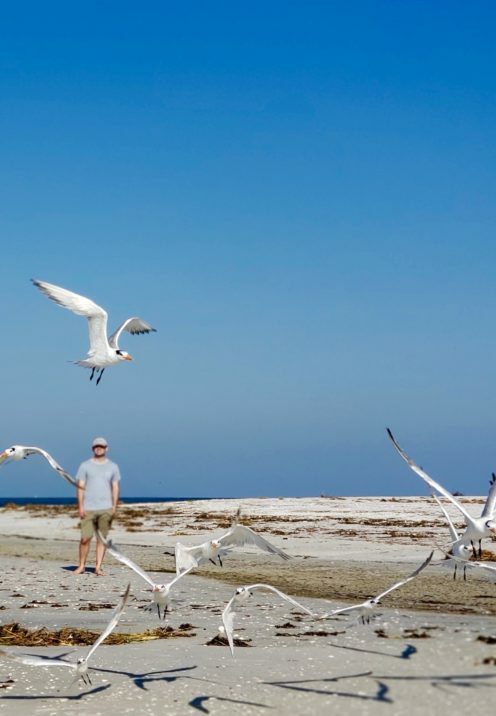 Bird watchers will spot egret and osprey, rare white pelicans and blue herons on Little Gasparilla Island. 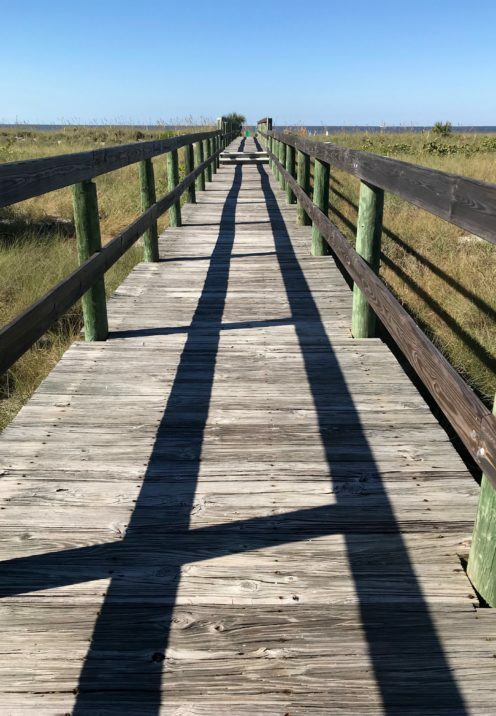 There are no roads, no cars, no traffic and few tourists here, which offers privacy and tranquility and a rare sense of peace not found at many Florida vacation spots. That’s because you must be a homeowner, guest of one, or be renting a home or condo to visit. 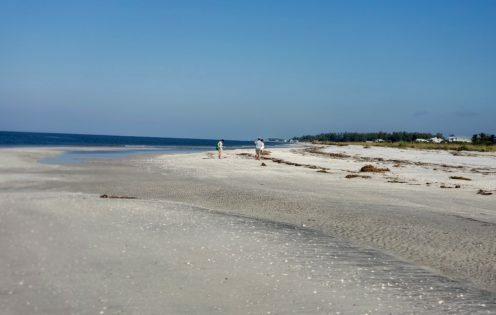 Plus, all of the beaches on Little Gasparilla Island are privately owned by the homeowners up to the high water line, so it seems very untouched by the outside world. 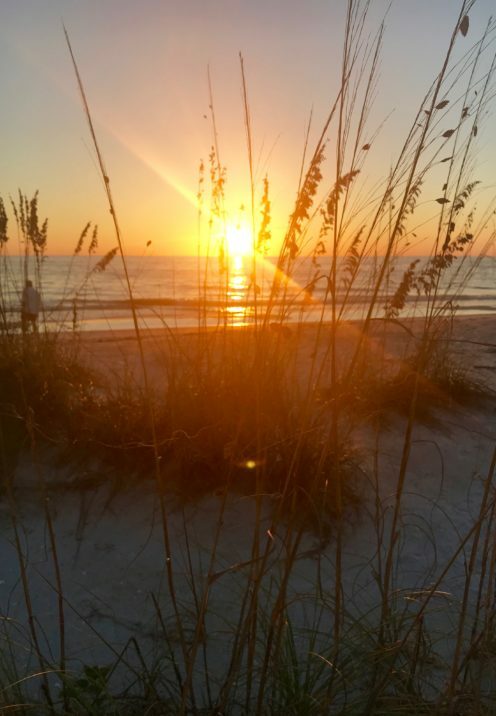 Little Gasparilla Island is also well known for its brilliant sunsets at the end of each perfect day. 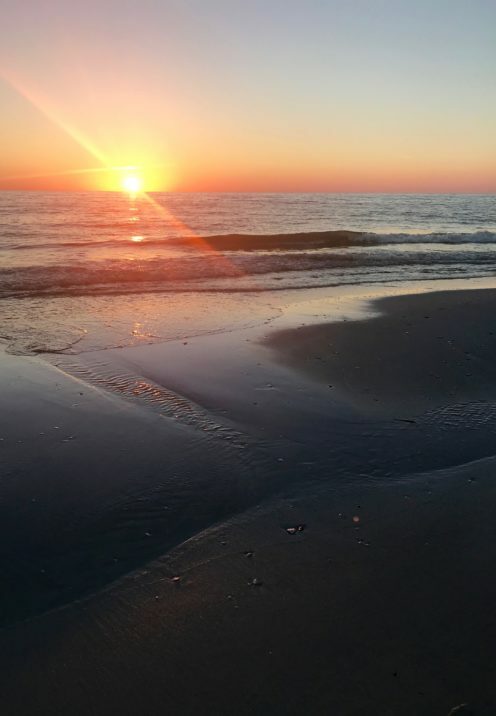 Ann’s family has a tradition of taking a cocktail or glass of wine down to the beach to watch the golden sun gently ease itself into the Gulf of Mexico. What a delight it was to take part in this beautiful tradition. 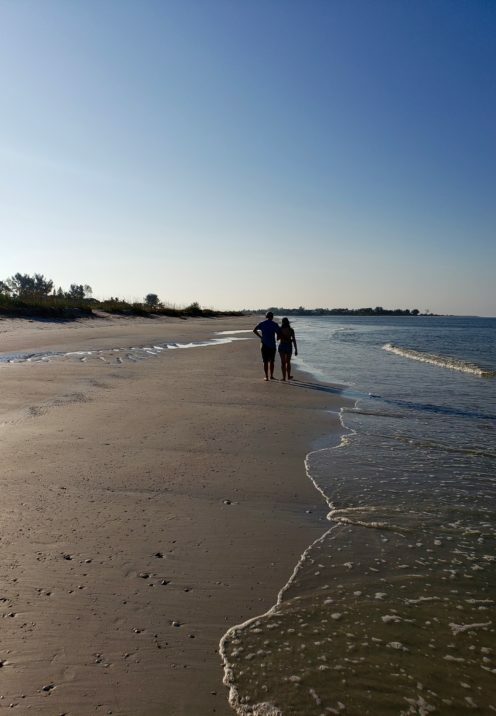 While there’s little to do beyond relax, read, swim and search for shells, you can also make your way (as we did to get an ice cream) over to the neighboring Big Sister, Gasparilla Island. 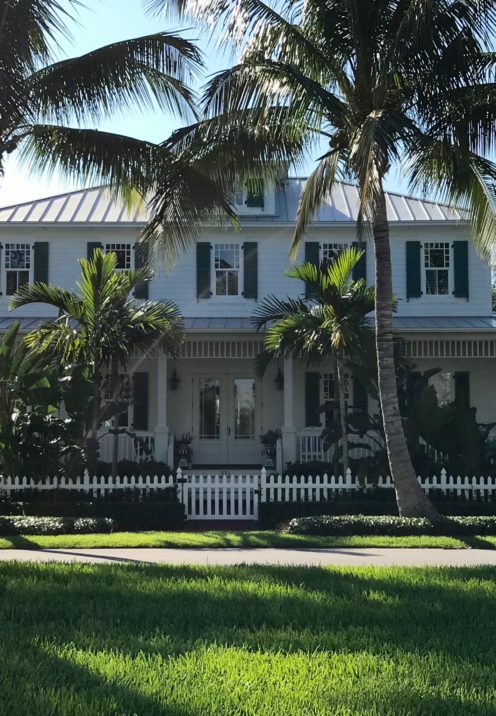 Gasparilla Island is full of Old Florida charm and lovely estates. 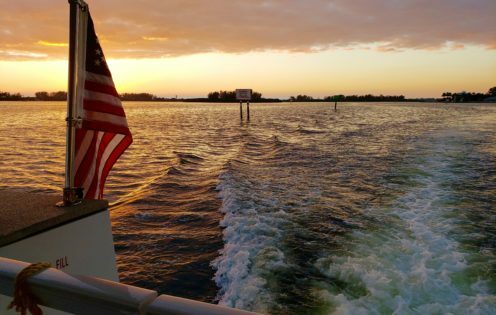 It’s home to the upscale community of Boca Grande and was a destination for elite families like the Vanderbilts and Duponts. 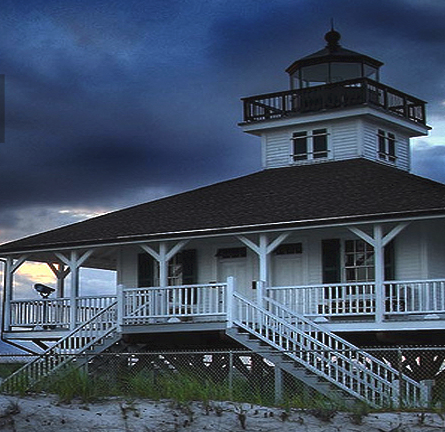 The Boca Grande Lighthouse, which has been standing since 1890, is the focal point of the island and a popular tourist destination. 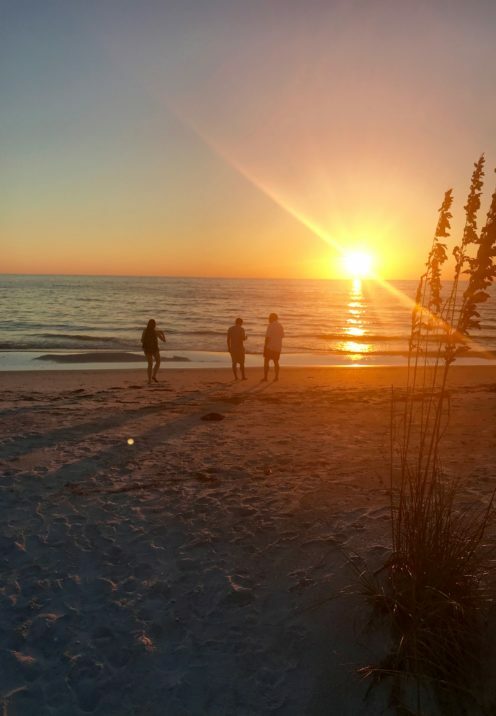 I highly recommend escaping the winter cold for Little Gasparilla Island. It was one of the most relaxing trips I’ve taken in a very long time!